We left the Saturday before and came back the Saturday after the 4th. 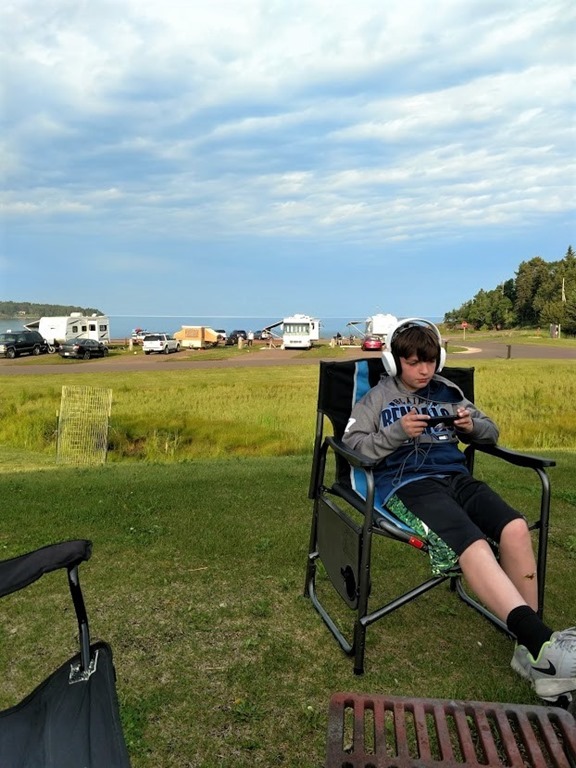 We went up to Two Harbors, MN and visited Grand Marais, Duluth and all points in between with our kids. This is something we do every 4th of July with our kids, well with my oldest daughter, son-in-law and grandson. My youngest daughter and her family is still in Chicago and generally go elsewhere for the holiday. Photo: Son-in-law and oldest Daughter around the campfire. Photo: Grandson Kee sitting by fire listening to audio book. The weather up north was really pretty good, while it was high 80s and 90s in the Twin Cities, it was in the 70’s and cooler up where we were in Burlington Bay. There was some rain, but over the week it really was pretty nice weather. No rain for July 4th fireworks, which is pretty nice. 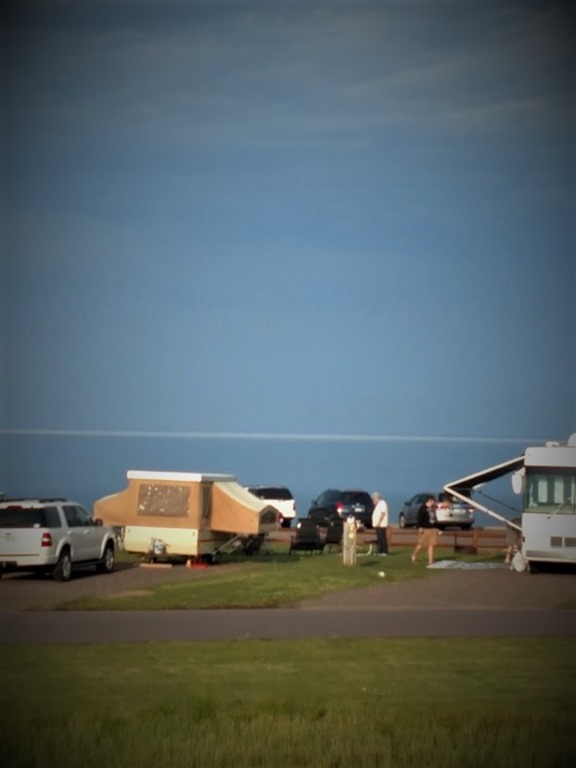 Rain was a little worse in the Duluth area – south of where we were, so they changed their 4th of July Fireworks to the 5th. 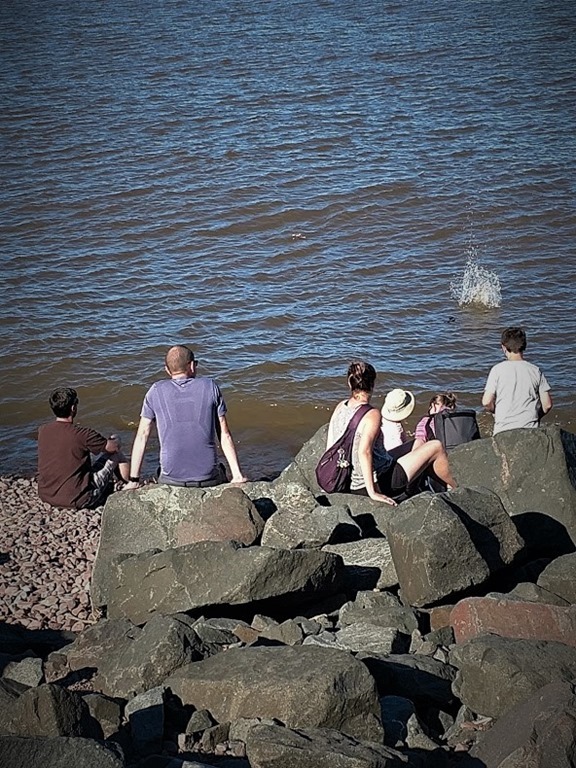 We were down in Duluth that day but decided not to stay late for their fireworks since we’d seen them the night before. 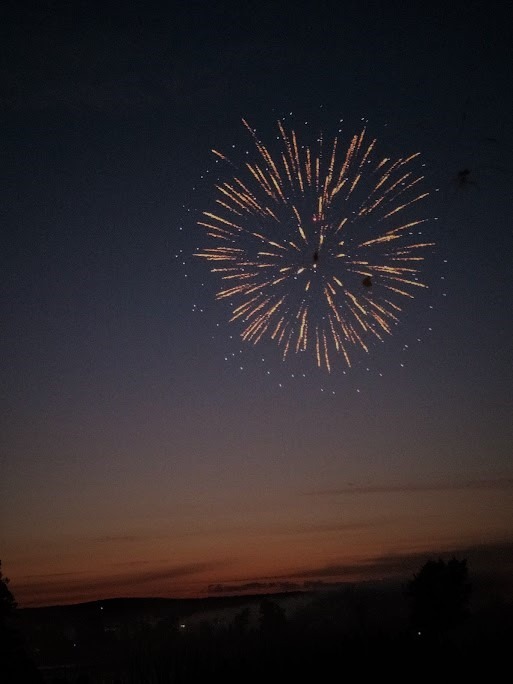 Photo: Two Harbors Fireworks began before it was completely dark…still beautiful. We went to a Firehouse/Police museum over in Superior, WI as well as Fairlawn Mansion. We went over to Wisconsin on a rainy day to get more fireworks to light on the 4th, along with Lanterns to light and let float up into the night skies after the main fireworks were completed. Saw these couple of inside attractions and decided to do them since the weather wasn’t good for outside activities. I will share photos of the things we did that week in separate posts so this won’t be too long. My daughter has fiends that often join us for some of our activities together. Their daughter is just SO cute we love getting to be with them too. Photo: Here everyone is cooling it by the lake! All in all everyone had a nice time. Hope your 4th of July Holiday was a great one!